These are the richest, fudgiest brownies ever! They get my award for the best brownie I’ve ever made, or eaten. Plus, they’re good for you! I’m doing my happy dance now! 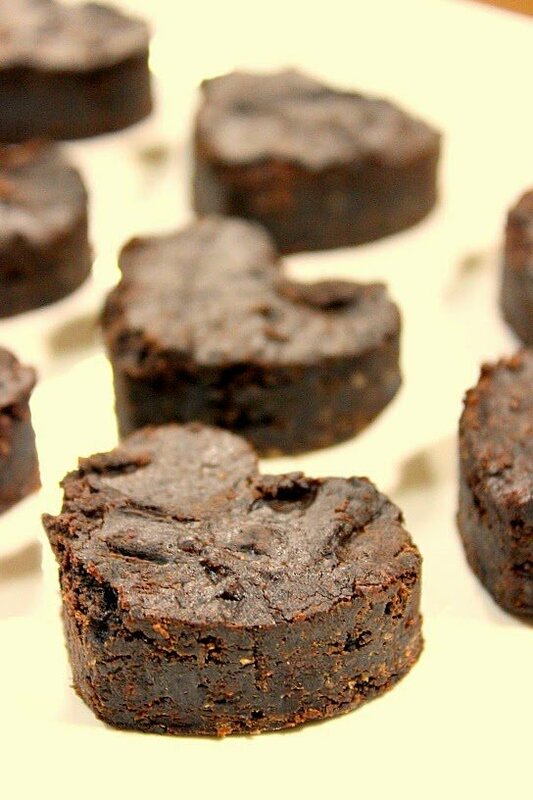 Rich, Fudgy Black Bean Brownies! What I love about this recipe (other than the taste, of course) is that you put all the ingredients into a food processor and whip them up until they’re smooth and creamy. I found this recipe for black bean brownies on a site called Chocolate Covered Katie while I was searching the Internet for a healthier brownie recipe to make and serve my family. 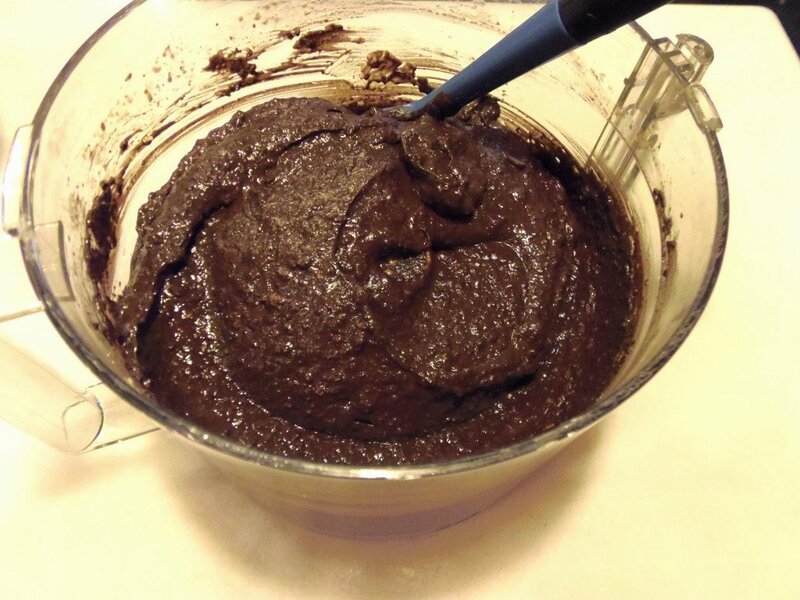 I’ve seen a lot of brownie recipes lately which include black beans in the batter. Since I’m a black bean lover, I wanted to try them for myself to find out if the black beans were really undetectable in a brownie, and to find out what they did to the texture. Plus, I really wanted to fool and surprise my family! To say I was intrigued was a bit of an understatement. I adapted this recipe and its instructions from Chocolate Covered Katie ever so slightly. 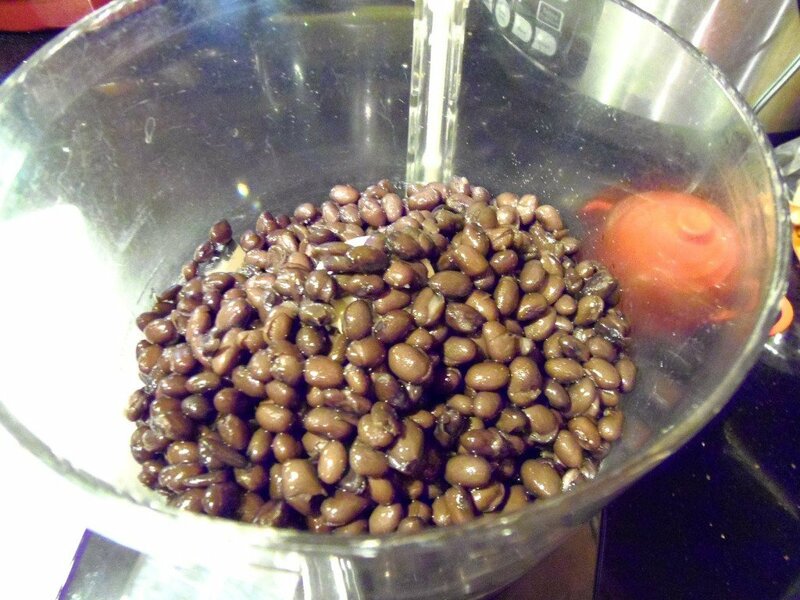 I doubled the original recipe in order to fill a 9″x13″ baking pan, and I added the chocolate chips directly into the food processor along with all the other ingredients, unlike Chocolate Covered Katie who stirred hers in after the batter was blended. I also decided to use a sugar substitute (Swerve) instead of using granulated sugar. 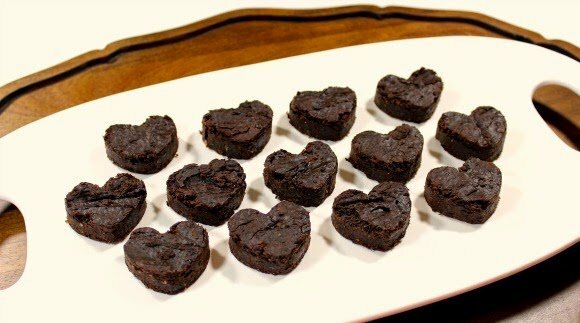 So, not only are these brownies fiber rich, they’re also lower in calories…but certainly not on flavor! I have to tell you that the wonderful chocolate aroma of these brownies carries a long, long way, and their fudgy scent enveloped my kitchen for hours and hours even after they came out of the oven. In case you’re wondering if I fooled my family with these brownies. I did. I had them out on a plate and told them that the brownies were free to eat if anyone was interested. It wasn’t long before they were munching and snacking. I watched and waited. Well? I asked. How do you like them? “They’re good” was the unanimous decision as they kept going back for more! I debated about telling them about the beans in the brownies because I was worried that once they knew of the secret ingredient, they’d have a whole different opinion of how good they actually were. And that maybe they’d decide that they didn’t actually like them that much anymore, after all. 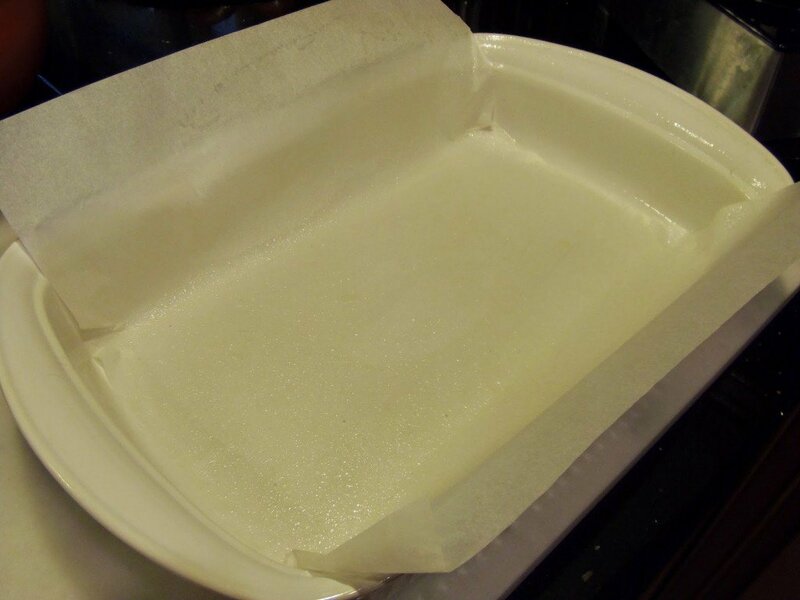 -Prepare a 9″ x 13″ baking dish with a sheet of parchment paper that has been sprayed with baking spray (see photo below). Set aside. 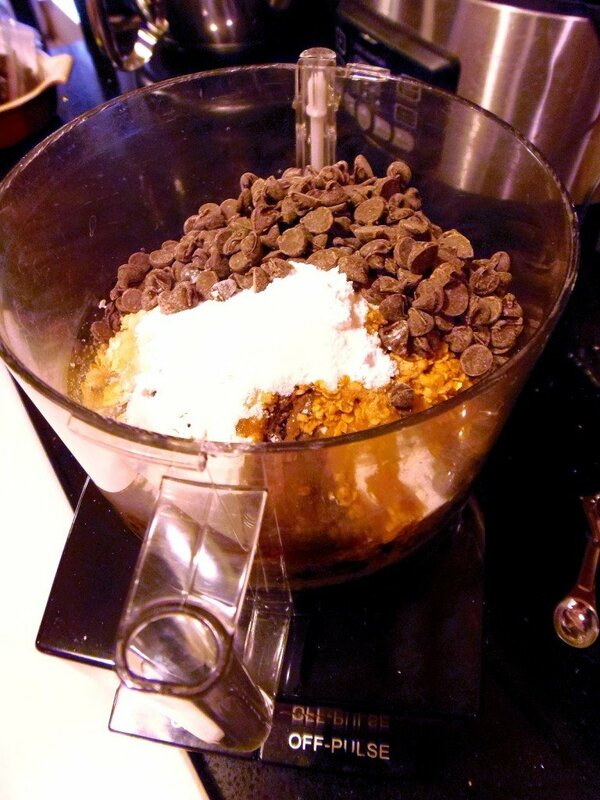 -Combine all ingredients in a food processor and process until the batter is well blended. -Spoon the mixture into the prepared pan and spread the batter evenly in the pan with an offset spatula or the back of a spoon. -Bake in a preheated oven for 30-35 minutes or until a toothpick inserted in the center comes out clean. 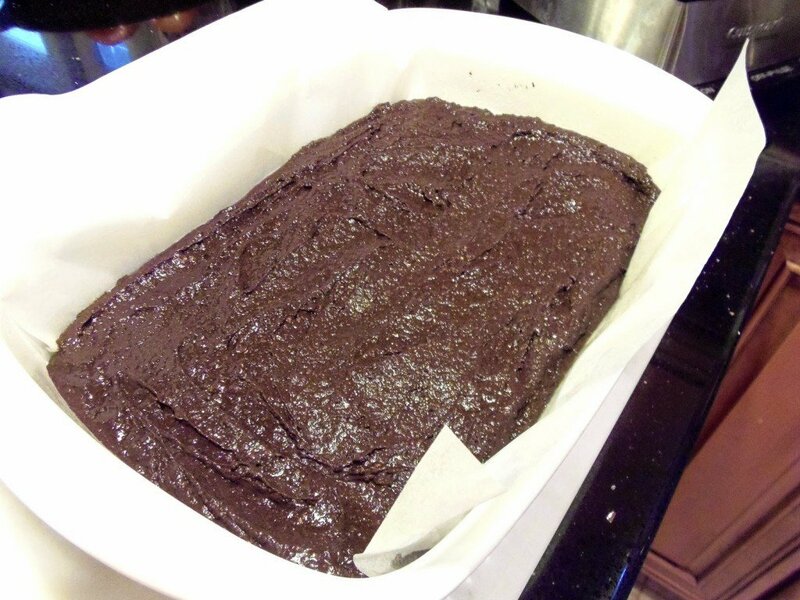 -Cool the brownies completely and then carefully remove the brownies from the pan by lifting out the parchment. 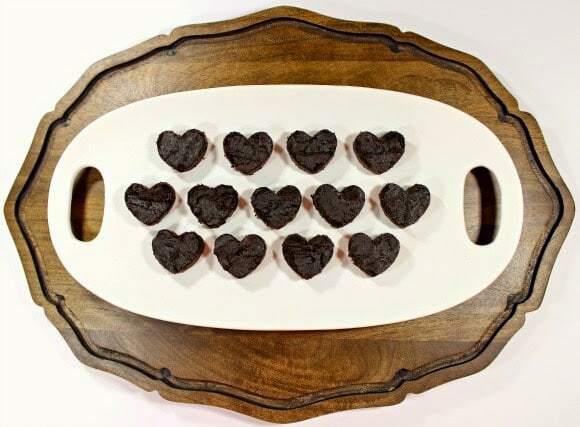 -Use a cookie cutter to cut shapes (like hearts shown) or use a knife to cut the brownies into squares. *Note – these brownies are extra rich so smaller serving sizes are best. 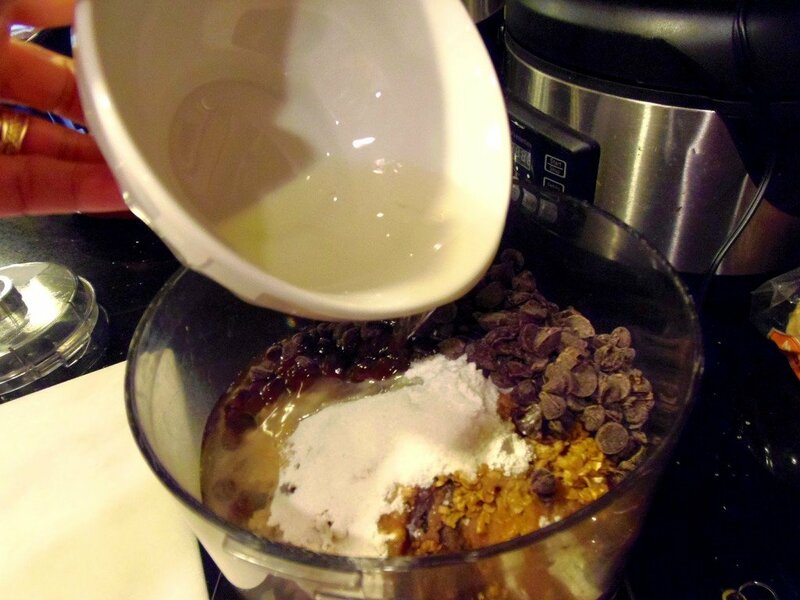 Place all the ingredients into a food processor and process until smooth and creamy. Prepare a 9″x13″ baking pan with parchment paper that has been sprayed with baking spray. Spoon the brownie batter into the prepared pan and spread the batter evenly using an offset spatula or the back of a spoon. 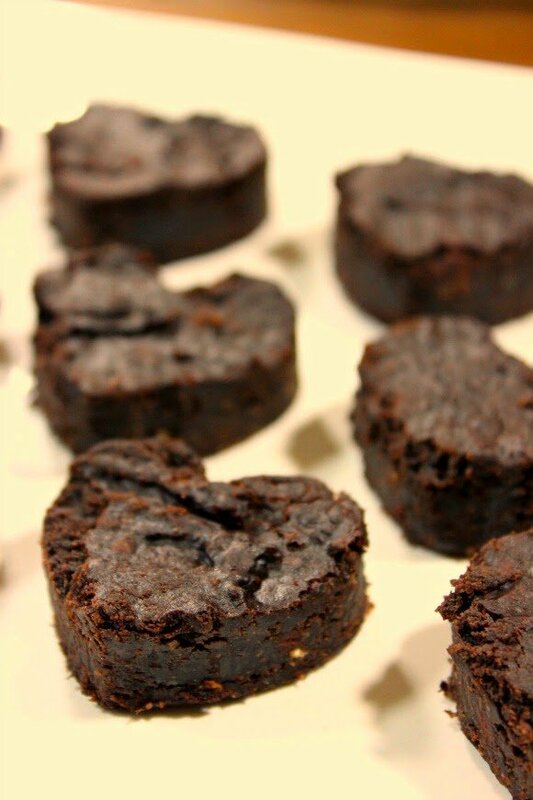 Bake the brownies in a preheated oven for 30-35 minutes. Cool completely. 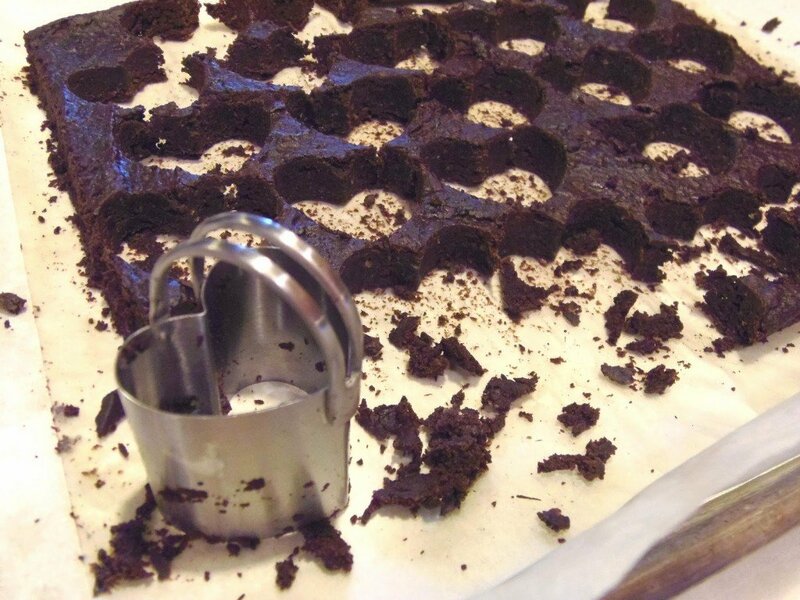 Lift the brownies from the pan using the parchment paper and then cut the brownies with a cookie cutter, biscuit cutter, or knife before serving. 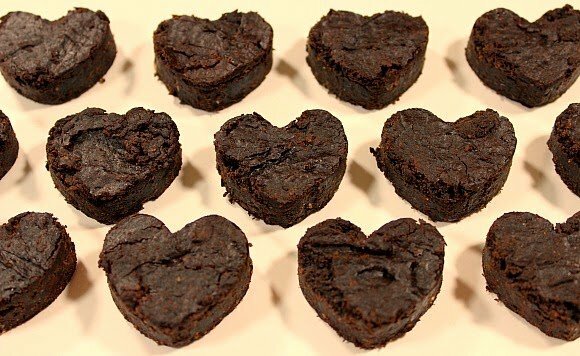 We struggle all the time with getting our daughter to eat healthier foods – but I think she would love these brownies! They look so fudgy and delicious! I totally agree with you. My favorite thing about black bean brownies is my food processor 🙂 Best. Purchase. Ever. These are so cute!! This is one I've never tried. THanks for sharing. I have a flourless brownie recipe on my site and I never named it black bean so I could fool my family. Two years later and still making them and they have no idea! Love the heart shape! Well yes, I do believe you would have fooled me, these are some good looking brownies! Plus smart move on your part cutting them out in hearts. Brownie scraps for the baker! I love black bean brownies! It's so amazing how you can't even tell there are beans in your brownies. Love that you cut them into little hearts. I Iove me some black beans!! And I never met a brownie I didn't like. I love this healthier version. Just between us, I'd probably tell my family a year from now. No reason. Just for fun. And those glasses are scandalous!! Love them. I've seen black bean brownies so many times and I keep hearing how good they are, but they still scare me. I need someone to trick me and not tell me until after I've had one! Totally love that Scandal wine glass, btw. I can't quite wrap my had around black beans in a dessert (or avocado even). However I do believe you when you say they are good! 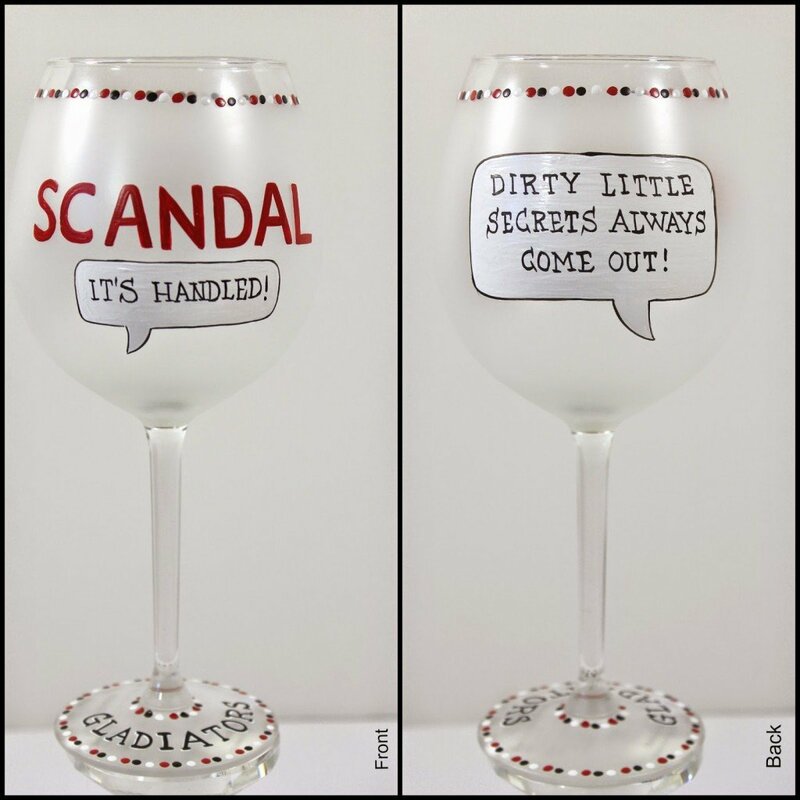 That Scandal Glass -LOVE!! !